The drop in temperatures and holiday lights are both signs that the year is coming to an end, which has many, including the Website Magazine staff, reflecting on the technology and design trends that shaped 2014. As our editors get busy wrapping up a few year-end articles, we have decided to reach out to our subscribers for help selecting the best website designs of the year. Do you believe that your favorite site is attractive, functional and generally stellar? 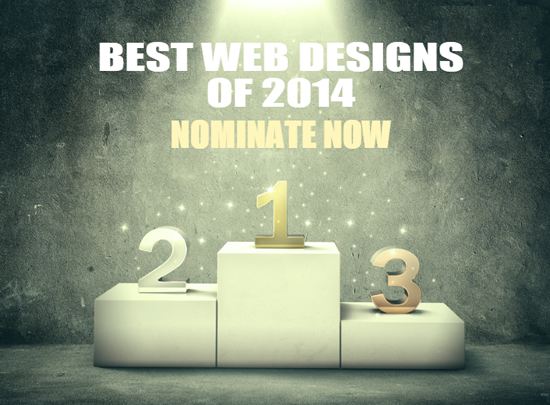 If so, comment below to nominate your favorite website design of 2014, which will then have an opportunity to be featured in an upcoming issue. ** Editor’s Note: Qualifying websites must fit into one of three categories: information publisher, service provider or merchant. Also, for submissions to be taken into consideration, please include a link to the website and a 10-20 word sentence describing why it should be chosen as a best design candidate for 2014. Submissions will be accepted until November 26, 2014.